Nobody likes to consider the thought of bankruptcy as it is often associated with the feeling of failure. On the contrary, it can actually be the first step towards success when it comes to climbing out of a financial hole. In fact, many individuals who file for bankruptcy feel nothing but relief when their creditors stop calling, their home is saved from foreclosure, and they can keep their car. Although it comes at a cost, speaking to a professional bankruptcy attorney at Berry K. Tucker & Associates, Ltd. about filing for bankruptcy can give you a “fresh start” in life, one that sets you up for success. 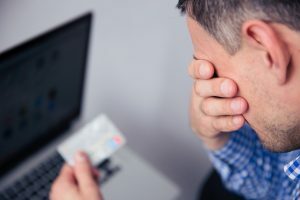 As many individuals are aware, bankruptcy is a method used for eliminating consumer debt to provide financial relief from their current situations. On the contrary, they are not familiar with the different forms of bankruptcy that can benefit different cases – among the most common include Chapter 7 and Chapter 13. 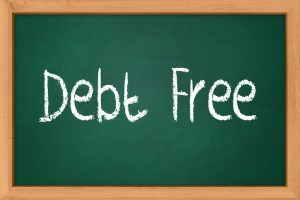 No matter the reason for not being able to pay off debt, you will always have the option of speaking with a professional bankruptcy attorney at Berry K. Tucker & Associates, Ltd. We understand that not having sufficient funds to pay credit cards, medical bills, and other debts is not always the fault of the oppressed. If you live in the Orland Park, IL area, come visit our law firm to discuss your situation and legal options with one of our experienced bankruptcy lawyers. Chapter 7 bankruptcy describes the inability to pay off consumer debt as a result of insufficient or no income. While this does not include all forms of debt, it can certainly provide some financial relief to your situation if you lost your job, suffered from an injury, or are not able to find work. When speaking to one of our attorneys, they can help you take this heavy burden off your shoulders and develop a plan to set you up for a successful financial future. Home Foreclosure Judgements: The thought of losing your home is unbearable as soon as you discover a foreclosure notice on your property. Especially if there are children involved, it can be nerve-wracking to have them experience losing their home as a result of an inability to pay a mortgage. But this doesn’t have to mean the end. When speaking to a bankruptcy attorney about filing for Chapter 7, they will negotiate a lower mortgage payment with your bank that allows you to keep the house and continue providing for your family. Medical Bills: While there is no question that you need emergency treatment after a serious injury, the expenses from the procedures, including medicine, vaccines, tests, surgeries, etc. can be eye-opening. 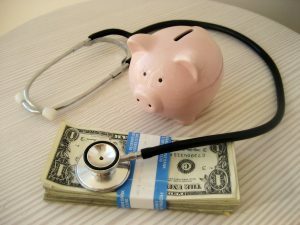 While the doctors will treat you whether or not you are able to pay, the debt incurred from these medical bills can take a hefty toll on your financial situation. In addition, not being able to work from the injury can put a hold on your income for an extended period of time. While this is no fault of yours, don’t hesitate to speak with a bankruptcy lawyer at Berry K. Tucker & Associates, Ltd. They will review the details of each medical bill while helping you to make the best financial decision based on your situation. Personal Property: Although many individuals are afraid to file for bankruptcy, they believe that doing so will force them to sell their vehicle, retirement plan, home, and other personal possessions in order to pay off their debt; however, this is not true. Chapter 7 highlights the conditions in which you can keep your personal property while paying less each month to help your situation. An experienced bankruptcy lawyer will negotiate these lower rates and help you throughout the legal process. Credit Cards: When you don’t have the money to pay your expenses, you have no option but to put them on credit cards. Finally, when the bill for the amount owed each month comes in the mail, the situation can become increasingly stressful over time as these bills will become overwhelming. However, it is highly recommended to speak with a bankruptcy attorney about your financial options to get a handle on this debt as well as preventing the harassing calls from creditors. Chapter 7 may even put you on the right track towards a successful future after eliminating the debt altogether. Car Repossession: When people spend extra days at work or pick up a 2nd job to help pay off their debt, they can still be too far behind on their loan payments to keep their car. When faced with a repossession notice, it can be scary to think about losing the ability to get back and forth to work. But when discussing your financial options with an experienced attorney, they can negotiate a lower monthly payment with your bank and avoid repossession. This way, you won’t have to worry about losing your only method of transportation. While not being able to pay off debts can certainly be stressful, if not scary, there is always a way out. Byspeaking with an experienced bankruptcy attorney at Berry K. Tucker & Associates, Ltd. about your situation, they can provide some light at the end of the tunnel, guiding you through the legal process and establishing the best financial solution for you. Chapter 13 highlights the conditions in which an individual does have a sufficient source of income; however, they are unable to pay off the debt within a reasonable period of time. Especially when you are only working to pay the amount owed, it can seem like forever just to have a portion of the burden off your shoulders. This can even become depressing as you are unable to enjoy any benefit from your efforts because the funds are going straight to the harassing debt collectors. However, Chapter 13 offers a solution for this stressful situation. When filing for this type of bankruptcy, an attorney will work with you to set up an installment plan that allows you to pay off this debt with in a 3 – 5-year period. It is especially recommended for families with young children that are facing foreclosure. It can even help reduce or eliminate credit card and medical debt altogether. Nobody likes to think about filing for bankruptcy; however, under certain circumstances, it can provide financial freedom for those drowning in debt. No matter the cause or amount incurred by an individual, it is important to remember that there is always a second option to stop harassing calls, wipe out your debt, and have a “fresh start” towards a successful financial future. The bankruptcy attorneys at Berry K. Tucker & Associates, Ltd. have years of experience in the legal aspects of both Chapter 7 and 13. They will establish a partnership with you in order to understand all details of your situation while guiding you through the process to make the decision that works in your best interest. Contact Berry K. Tucker & Associates, Ltd. at (708)425-9530 if you live in the Orland Park, IL area and are suffering from an overwhelming amount of debt for which you are unable to pay.